You've probably heard of window insulation films that claim to block drafts. 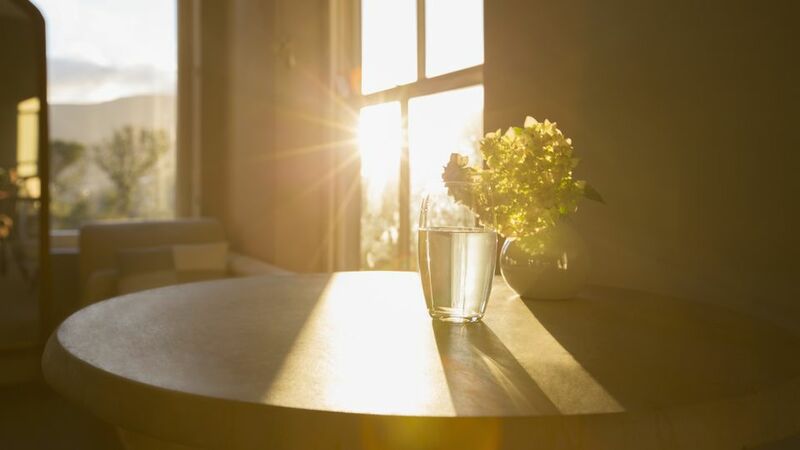 There is another type of window film on the market that blocks UV rays. Low-emissivity films, or Low-E films, are plastic films that contain metal or metal oxide. Depending on which side of your windows these films are placed, manufacturers claim they reflect between 70 to 80% of solar heat gain in the summer or conserve over 50% of interior heat in the winter. If you aren't prepared to replace your old windows with new, energy-efficient windows that feature factory-applied Low-E coatings, then consider installing window insulation film to help cut costs in the meantime. Before purchasing and installing Low-E window film, consider the climate where you live and the orientation of your windows. Look at the packaging of the window film for the solar heat gain coefficient (SHGC) and the visible transmittance rating (VT). If you live in a cold climate, look for a high SHGC rating, or a lower rating if you live in a warm climate. Products with higher VT ratings admit more natural light. Aside from reflecting heat, the Low-E film also reduces glare within a room and increases privacy without compromising the view. These films also block around 99% of UV rays, which can damage or fade furniture upholstery, flooring, and artwork. Applying Low-E film can be a DIY project if you have small windows, although you if aren't experienced with installing films, it is best to hire a professional to avoid bubbles. The film creates a slight tint to your windows, which can impair visibility or block too much light so that you have to rely more on electric lighting. Some films appear mirror-like from the exterior of your home. Houseplants may suffer from inadequate lighting when placed near a window with the low-e film. Since they only cover the glass portion of your windows and not the frames, unlike certain films, Low-E films do not cut down on drafts. Instead, use caulk or weather stripping to insulate and tighten your home's envelope. Some films can be removed, while others cannot.